Seven Gables is a four bedroom, 2 ½ baths Adirondack Great Camp. Located three miles from Trout House resort nestled in a secluded mountain setting, its’ pine forest backs up into the Pharaoh Wilderness Preserve. Views of Killington Vermont’s ski slopes and mountain ranges extending 100 miles and beyond, may be experienced from the upper bird house porch! The house comes fully equipped with full kitchen, two and 1/2 baths, two jacuzzi’s lovely decks, gas grill, satellite TV, air conditioning, in the bedrooms and the soothing sounds from the brook flowing out of Cold Water Canyon. 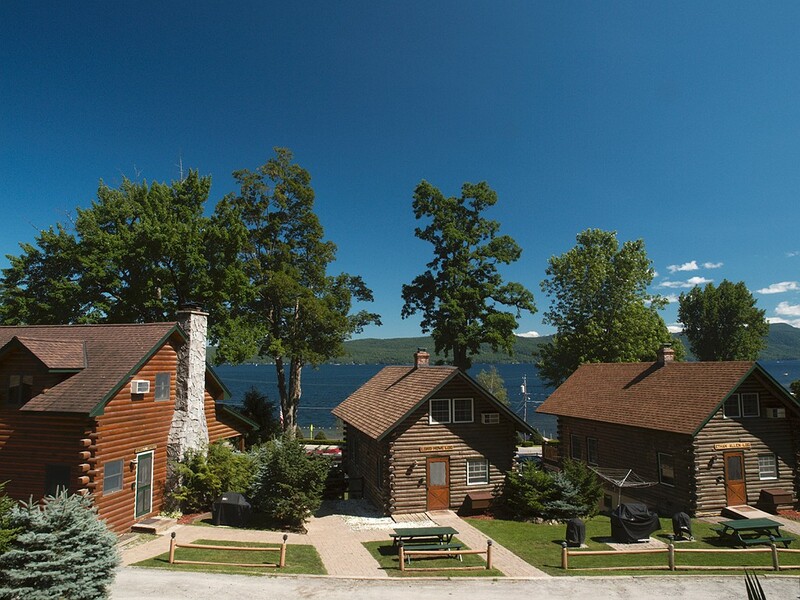 Although there is the short commute to the lake, you would have use of all the Trout House amenities, 400′ sandy beach, canoes, kayaks, row boats, paddle boats, bicycles, putting green, shuffle board, and all kinds of ball/lawn games. This amazing handcrafted log element home features a 2 ½ story authentic stone fireplace, intimate living room “nooks”, exquisite twig detail porches, mission lighting and hardwood floors. The kitchen displays Heartland’s Vintage Classic Collection of appliances, granite counter-tops, ceramic floors, and entry to the stunning log truss barbecue porch. The master bedroom has a king bed and lovely bathroom with jet tub and shower. The second and third bedrooms have king size beds and the fourth has a queen size bed and a twin size bed. Flat screen TVs, DVD, Internet, Satellite TV, Telephone, Washer/Dryer, A/C (bedrooms only), Adirondack porch chairs and gas barbecue grill. 3 ½ miles from the village of Hague and beautiful town park on Lake George. Sleeps 6.